Explanation: It may look like a grazing seahorse, but the dark object toward the image right is actually a pillar of smoky dust about 20 light years long. The curiously-shaped dust structure occurs in our neighbouring Large Magellanic Cloud, in a star forming region very near the expansive Tarantula Nebula. 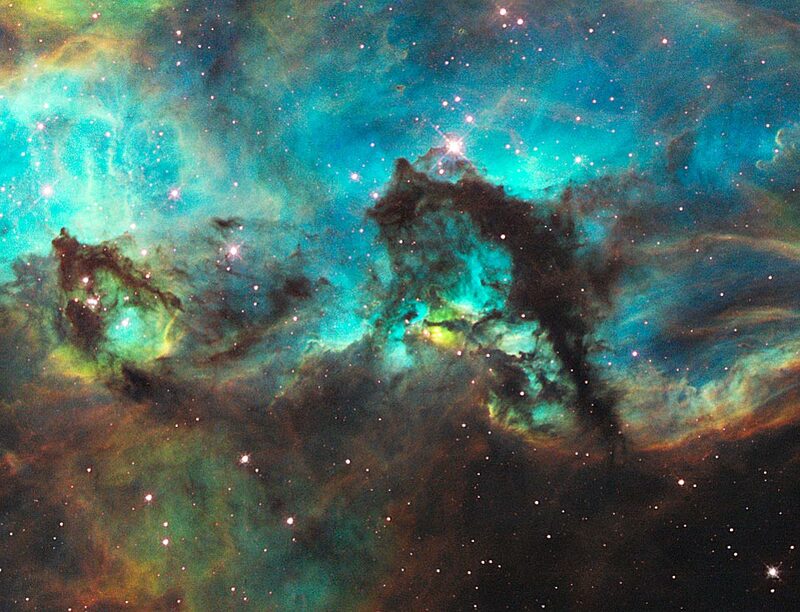 The energetic nebula is creating a star cluster, NGC 2074, whose centre is visible just off the top of the image in the direction of the neck of the seahorse. 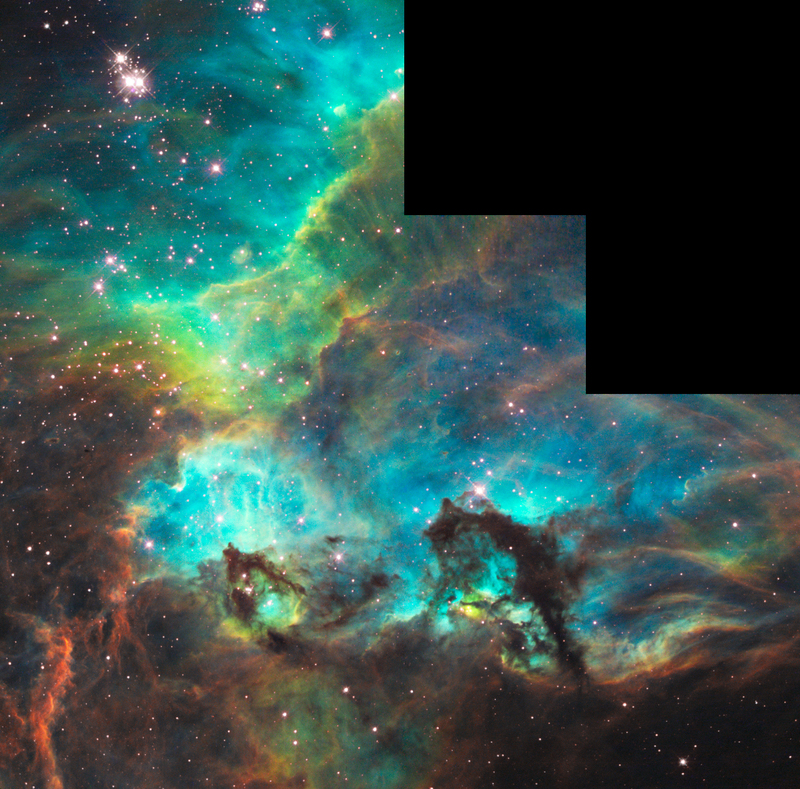 The representative colour image was taken in 2008 by the Hubble Space Telescope's Wide Field Planetary Camera 2 in honor of Hubble's 100,000th trip around the Earth. As young stars in the cluster form, their light and winds will slowly erode the dust pillars away over the next million years.